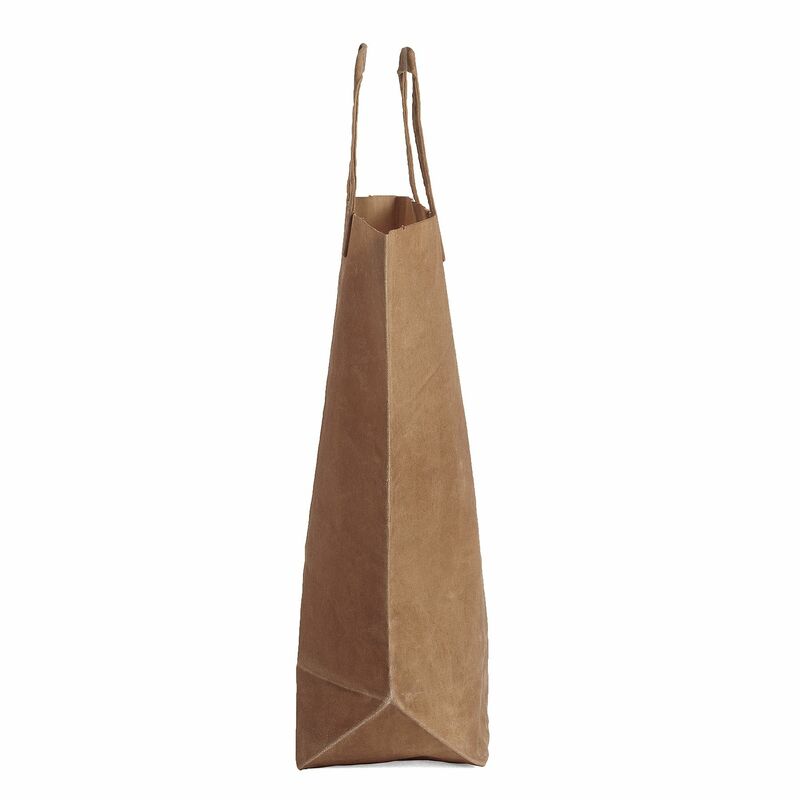 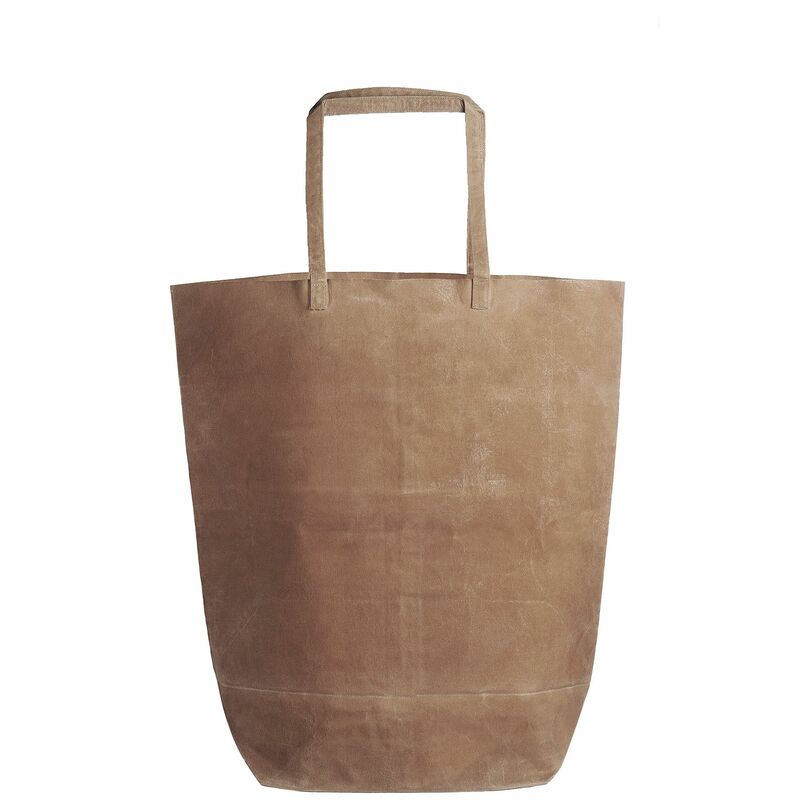 Kazumi Takigawa's line of dyed and waxed canvas bags take their inspiration from the plain brown paper bag. 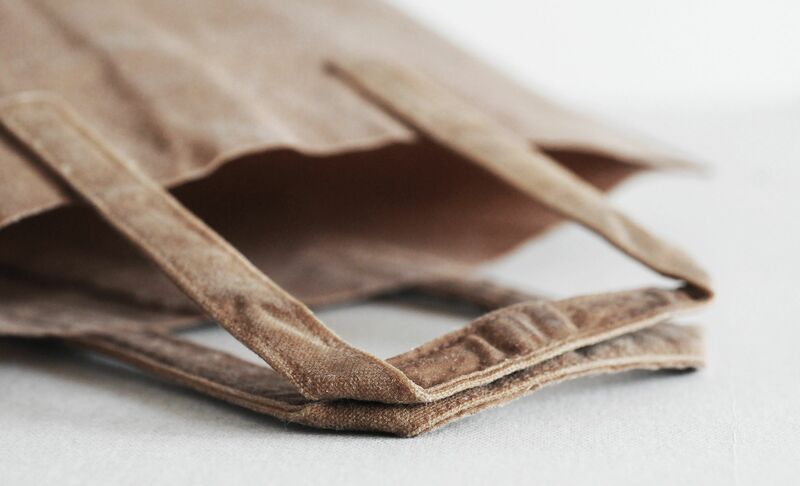 Wanting to mimic the look of ordinary brown paper bag while creating something re-usable and long lasting Takigawa's experiments led her to a process that includes a traditional dyeing technique and the use of tea and coffee as dyes. 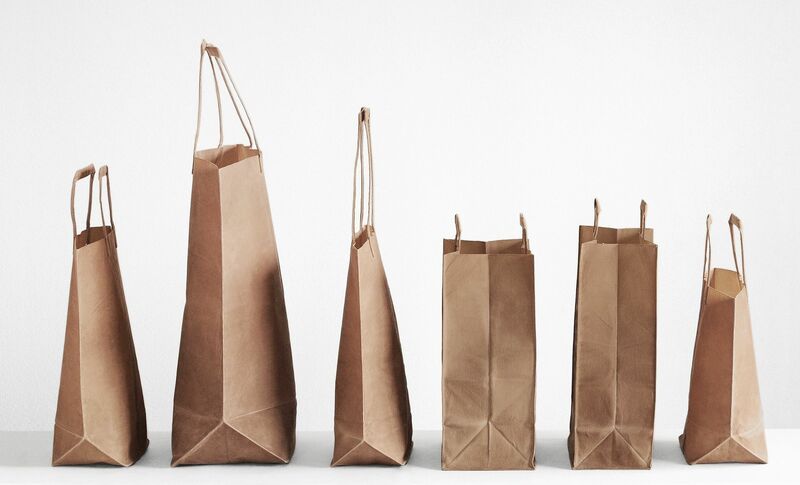 She produces each bag by hand in variety of shapes and sizes. 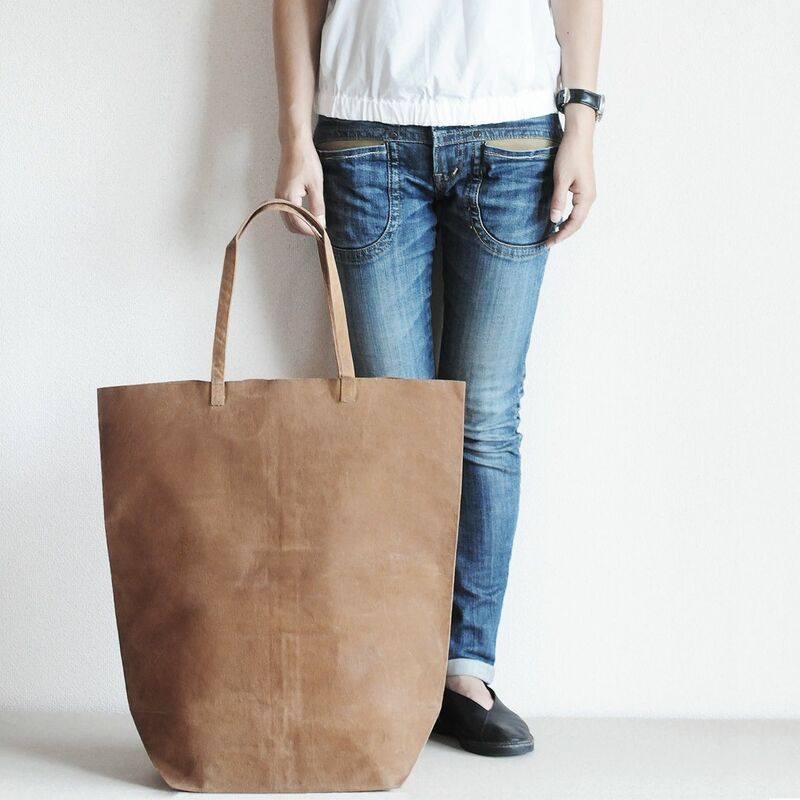 The dyes are not completely colorfast and the color will fade to a softer light tone over time.